Better serving the USA market with our new facility in Delran. 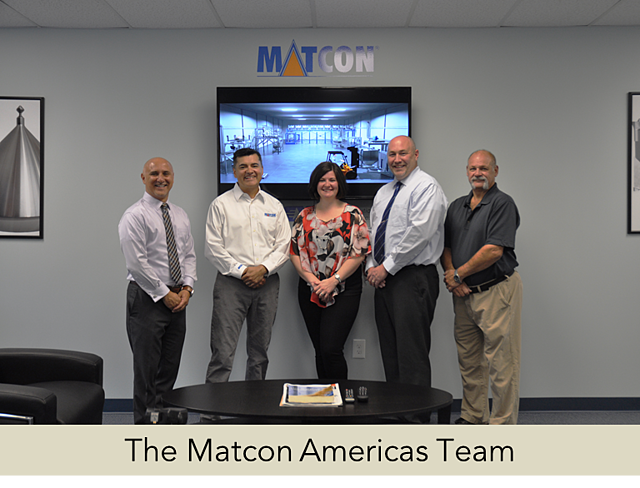 On 19th July 2017 Matcon Americas organised a Grand Opening of the Delran, New Jersey facility. Helping us to celebrate was the local Mayor and two members of the Town Council, along with our customers, partners and agents. 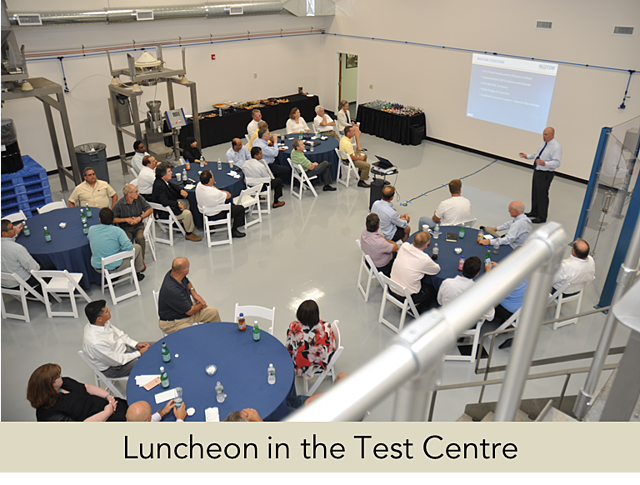 After the official ribbon cutting ceremony our guests enjoyed a guided tour followed by a light luncheon and demonstration of the test plant equipment. With a total footprint of 8,000 square feet, this new facility re presents a significant investment in the USA region and also for the local area. “We have listened to our customers’ feedback and are delighted to have a facility that not only offers a world-class test laboratory, but enables us to supply aftersales parts and carry out repair work locally, which will give us quicker response times” commented Stephen Ball, MD Matcon Ltd. Being just 40 mins from Philadelphia international airport makes it extremely convenient for our customers to visit for testing. Jaki Billy, Dan Veilleux and Joe Renshaw work together as the Aftermarket team helping customers with their spare parts and technical support needs. They want to ensure that customers are fully satisfied with their systems and gain maximum benefit throughout the life of the equipment by ensuring it is kept in good condition using genuine replacement parts. If you need any help or advice give Jaki a call on +1 856 256 1330 or email her at jbilly@idexcorp.com. Dan Ruble and Phil Spuler make up the Applications team. 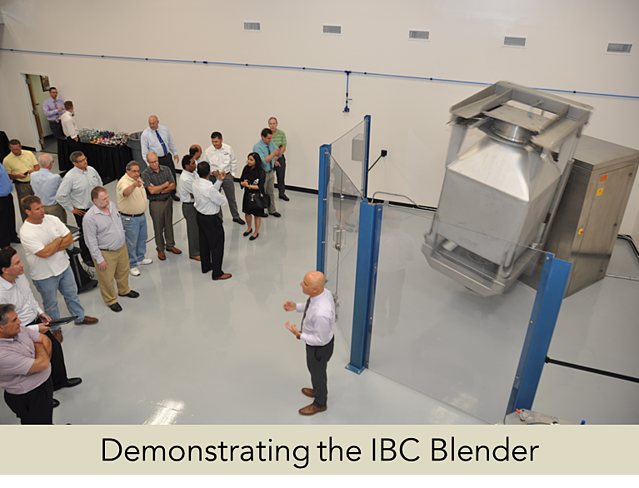 They conducted the guided tour of the test facility and demonstrated the Matcon equipment showing our guests how it can help them to improve efficiencies and provide them with a fully flexible manufacturing system built for the future. 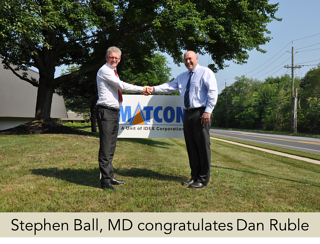 Dan Ruble, VP of Matcon Americas remarked “We are excited to share this new beginning and better serve the marketplace with our new facility. 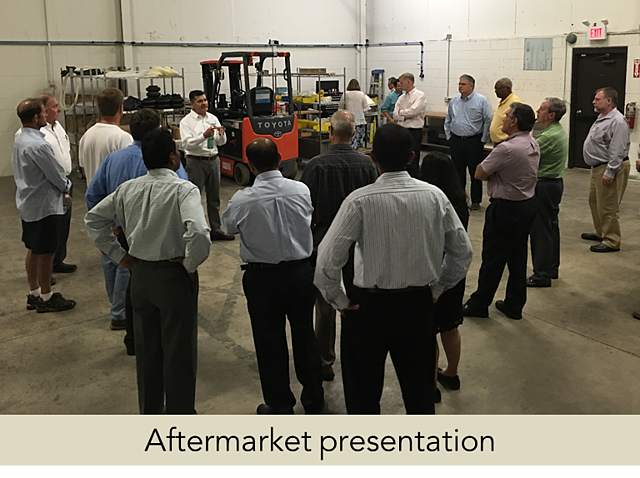 It gives us a fantastic opportunity to offer demonstrations and trials on our equipment, conduct training sessions for operators and gives our customers the opportunity to conduct product development in scaled-up equipment”. The Test Plant is equipped with full-scale materials handling equipment, providing simulated working conditions for testing real product, which helps our customers have confidence when making a capital investment in processing equipment. It is an ideal way to witness Matcon’s capabilities in discharging, blending and processing powders. Test plant appointments can be scheduled for specific equipment demonstrations and trials. If you wish to book a visit please contact Dan on druble@idexcorp.com. We look forward to welcoming you to our new centre.